Few people walk down the aisle at their wedding, thinking about divorce. But it happens. The reality is that 5 in 10 marriages will end in divorce, and 3.8 in 10 evangelical Christian marriages will not survive, according to statistics. Divorce is one of the most significant stressors anyone will ever experience in life bringing with it not only the death of a marriage, but also the death of the hopes and dreams we have for our life and our future. What’s worse many say, is that after divorce, their spouse is still living and building another life without them. In addition, when there are children involved, they are forced in most situations to interact with their ex at some level. Individuals walking through divorce can never get away from the pain, it seems. Every text, every phone call, every chance encounter, brings a depth of unresolved emotion and gut-wrenching pain to the surface, forcing them to deal. As best they can. Though coping with divorce can be overwhelming, you will never be able to move fully into your future without first grieving this tragic loss. Here are six strategies to help you successfully cope with a divorce. Many individuals go into crisis mode when faced with divorce. Pushing the feelings of sadness, anger, betrayal, heartache, and confusion aside, they focus almost entirely on practical details of the legal divorce. They feel as if they are doing great, that they are coping well, until one day they have no battle to distract themselves with, and an ocean of pain begins pour to in, devouring them and leaving them in a bottomless pit of despair. Please be intentional with your grief. You will never bypass grief, you can’t go over or under it. The only way to the other side is to walk through the grief process. Those who are intentional with grief will face their feelings and allow themselves to feel them in a healthy way. Having healthy outlets for their emotions, they will be able to absorb the loss from the divorce until they are ready to move forward and rebuild their lives successfully. If you would like to read more about how to grieve in a healthy way, you’ll want to read this! During a divorce, you need more support than ever before. You also need different kinds of support. Great friends and family are vital in providing emotional support and encouragement during this season, but you also need support from sources that can understand the unique emotional stresses associated with divorce. Groups like DivorceCare not only provide an environment of support from those who are in like circumstances, they also create a healthy, structured setting to help educate on many of the issues surrounding the emotional aspects of a divorce. More than anything, support groups can offer a needed prevention against getting stuck in the grief process. Do not isolate. Don’t become an island warrior. Do your best to surround yourself with love, encouragement, and support, so that you enter the next season of your life as healed and whole-hearted as possible. Galatians 6:2 (NIV) says, Carry each other’s burdens, and in this way you will fulfill the law of Christ. Studies show that faith is a significant source for healing, especially when we are going through a challenging season. 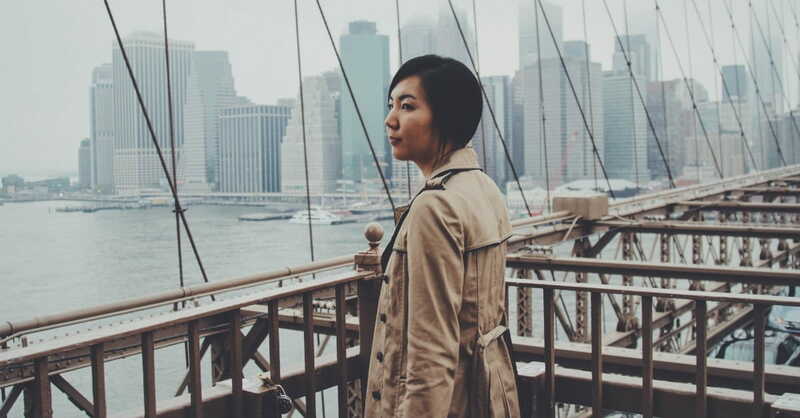 Many people pull away from their faith during a divorce, at a time when they need it most. Allow your faith to be a resource that strengthens and steadies you in this season. God knows where you are. He sees the pain. He hasn’t forgotten you. He loves you. He longs to be the One you run to when life becomes too overwhelming, too out of control. He longs to be your covering in torrents of the storm. Let Him. Lean into Him and allow Him to pour His love over you in the most gentle and loving of ways. Let Him hold you up when you feel like you can’t bear one more minute. He will. He has. He always does. That’s who He is! Isaiah 41:10 (NIV) encourages us, So do not fear, for I am with you; do not be dismayed, for I am your God. I will strengthen you and help you; I will uphold you with my righteous right hand. The last thing you need while going through a divorce is a new relationship. You need this time to heal. I know loneliness can feel more unbearable than you could have imagined. I know your pain is overwhelming. Still, let this season be a time for your healing. Period. Every day that you remain focused on your healing, every minute that you focus inward and allow God to do His cleansing, transforming work in your heart, will be a multiplied blessing to your future relationship. It is vital that you close the door on this relationship —physically, emotionally, and spiritually— before you enter another. Love will come again. In some way, shape, or form, you will experience the love for which you long. But you will not experience healthy love birthed from this deep wound. Your heart will scream its desperate need. Your loneliness will betray you. Give yourself time. You will heal. You will love. Psalm 147:3 (NIV) tells us that, He heals the brokenhearted and binds up their wounds. Therapy is one of the greatest gifts you can give yourself while going through a divorce. I often hear people say they don’t want to spend the money, but I can think of no better investment for your healing, or your future. There are many resources for professional therapy —your local church, community counseling centers, or referrals from friends. People who have engaged in therapy during their divorce are always glad they did, recognizing the power of having someone outside of their circle of family and friends, who can help them through the grief process, and who can walk with them as they begin to pick up the pieces of their lives and re-imagine their future. This is likely to be one of the most difficult seasons of your life. Now is not the time for rigid goals or agendas. Be flexible. Show yourself the same kind of grace you would show a good friend. This season will take more than a minute, to heal from and move past. Your emotions will feel as erratic and intense as a rollercoaster. You will feel great one day and horrific the next. Don’t be so harsh with yourself. The divorce will end, you will make it through, even if it takes longer than you expect. Breathe. Don’t get overwhelmed with the whole picture. Just focus on one day at a time, one moment at a time. Divorce doesn’t have to be the end. You can make it through this season, and enter the next season healed, whole, ready to see what God has in store. 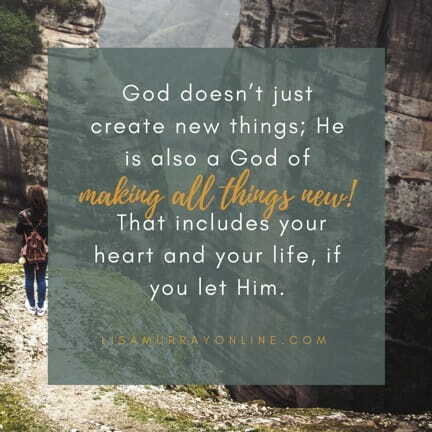 God doesn’t just create new things; He is also a God of making all things new. That includes your heart and your life, if you let Him. Though you never expected this would be a part of your journey, it doesn't mean God cannot do something beautiful in you. He has. He is.